All these laborious weeks invested in the translation of the ancestral legends of the first Pygmy tribes finally paid off. I succeeded in locating the bath of the Gods in a cave at the foot of a volcano. I discovered a network of caves with lush tropical vegetation and dotted with pools of water naturally heated by rivers of subterranean lava. 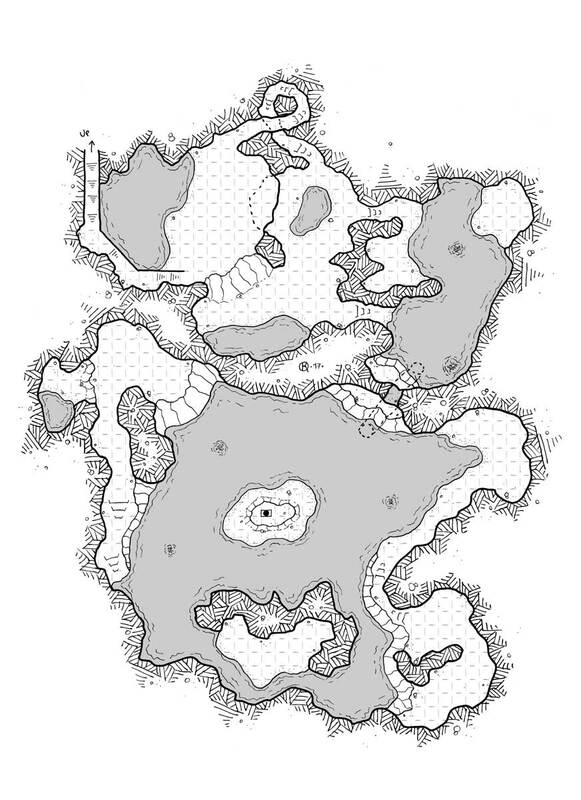 My pygmy guides began to scream and abandoned me cowardly when I decided to take the underwater passage to access the hidden part of the caves, probably because of the guards described in the ancient texts. Valer’s orb awaited me there, on a pedestal in the middle of a little island. A beautiful black big pearl with a multitude of pearly white reflections. These reflections would in reality be the souls of all the former owners who had abused of its power. The orb of Valer generates a black fog so dense that it plunges an area of a kilometer of maximum diameter in total darkness. A rustling of water brings me back to reality. Two great koprus emerged from the depths of the quivering water. I used all my martial skills to extricate myself from this unfortunate situation. I can’t wait to use the Valer’s orb in the heart of a great human religious city and to see panic seize these poor souls.